The truancy rate for schools in England has risen slightly - to the highest level ever recorded. Statistics for the last academic year (to July 2009), show the rate of unauthorised absence rose by almost 4%. That means that 1.05% of school sessions were missed without permission - up from 1.01%. The government confirms that the truancy rate is at its highest level, but says that overall absence from school has fallen to a record low. This is explained by fewer children missing school with permission. When truancy and authorised absence are taken together, the overall absence rate is 6.27% - a slight fall on the previous year's level of 6.29%. The government has been trying to clamp down on truancy and parents have been prosecuted for letting their children miss school - but it is proving a hard nut to crack. When Labour came to power in 1997, the annual rate of unauthorised absence was 0.7% - a constant figure since 1994. Schools Minister Vernon Coaker said: "Overall absence has again fallen to a record low. Every day over 70,000 more pupils are now in school than would be the case if absence rates were still at the level of 1996/97. "Schools are, quite rightly, cracking down on absence. Weak excuses for missing school, such as over-sleeping or a day's holiday, are no longer accepted - so it's no surprise that with this tougher approach there is a slight rise in unauthorised absence. "Ultimately it is down to parents - not schools. Parents have a clear duty to ensure that their child is in school and are not simply allowing them to miss their education." He said one-fifth of absences were by pupils known as "persistent truants" and that head teachers were targeting that group. There has been progress in this area, particularly in secondary schools. The rate of persistent absentees in secondary schools is 5%, down from 5.6% in the previous year. Across all schools, the rate of persistent absentees fell from 3.6% to 3.3%. Children in special schools and those on free school meals are more likely than others to be persistent truants. The figures - released by the Department for Children, Schools and Families - show that the rate of truancy at England's secondary schools stayed the same as in 2007/08, but that the rate rose in England's primary schools. Truancy rates are highest in the country's "special schools", which include Pupil Referral Units, where children are taught if they leave or are expelled from mainstream school. Children with special educational needs or disabilities are also taught in special schools. Across England, areas with high levels of absenteeism include Manchester, Sandwell in the West Midlands and Newcastle-upon-Tyne. Low levels of unauthorised absence (truancy) were found in Kingston-upon-Thames, Northumberland, Durham, West Sussex and Devon. Across the UK, overall absence rates in Northern Ireland are similar to those in England, while those in Scotland and Wales are a little higher, at roughly 6.8%. The opposition parties have attacked the government's record on truancy. 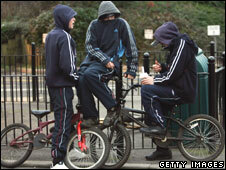 Shadow schools minister Nick Gibb said: "Despite over £1bn of spending the government has failed to tackle truancy. Unauthorised absences are at an all time high and 67,000 children miss school every day. "Persistent absenteeism and truancy is linked with low levels of literacy and must be tackled. We will also allow schools to insist on enforceable home school contracts - so parents play their part in ensuring their children go to school." Liberal Democrat schools spokesman David Laws said: "These figures are disgraceful. Despite Tony Blair promising to get a grip on this problem more than a decade ago, truancy levels have rocketed. "It's obvious that Labour's top-down approach has failed. We need a more effective local approach involving parents, schools and the police."